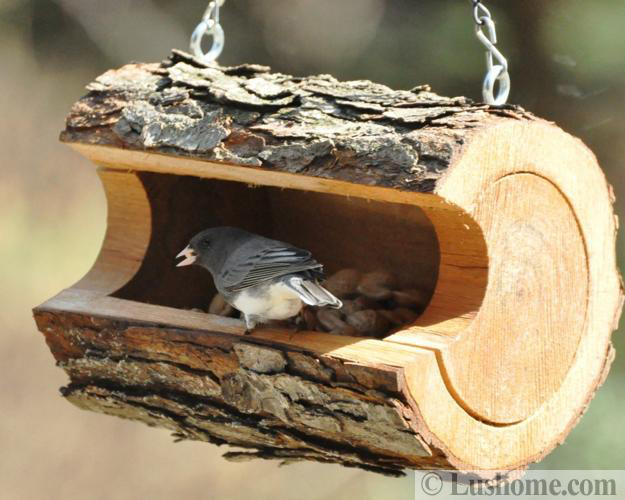 Rustic wood is a natural way to attract local birds to your birdhouse design. 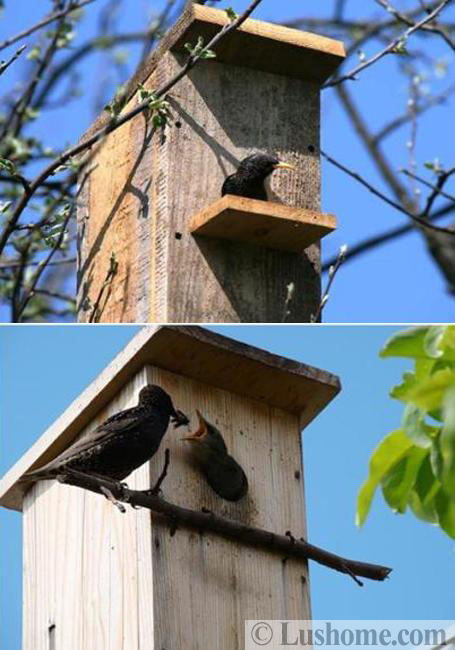 Birds that nest in tree cavities like rustic wood birdhouses also. 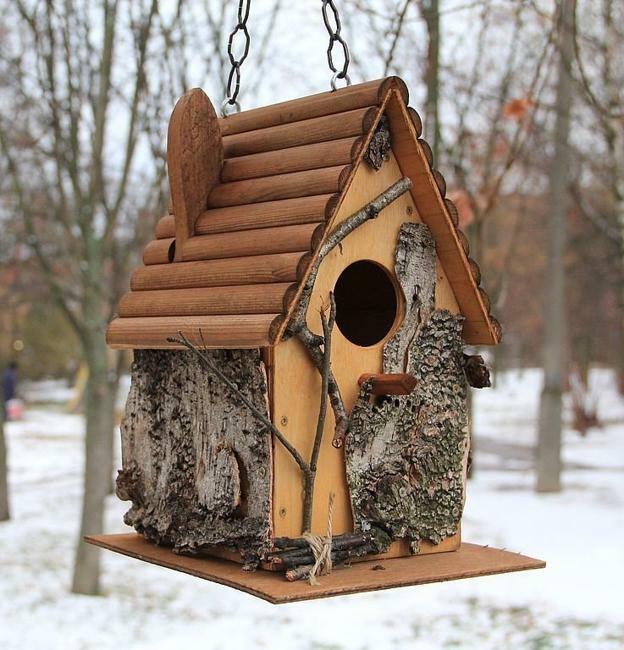 Birdhouses protect birds from cold and can work as feeders in winter. 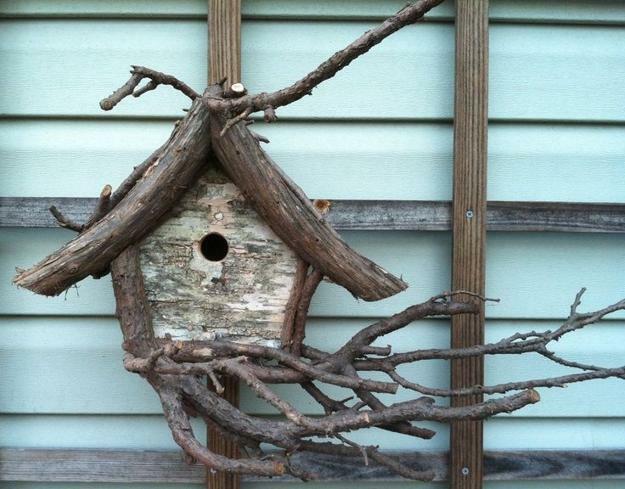 Our feathered friends love to find safety, warmth, and security in the comforts of their homes built with salvaged wood, small tree branches, twigs, and logs. 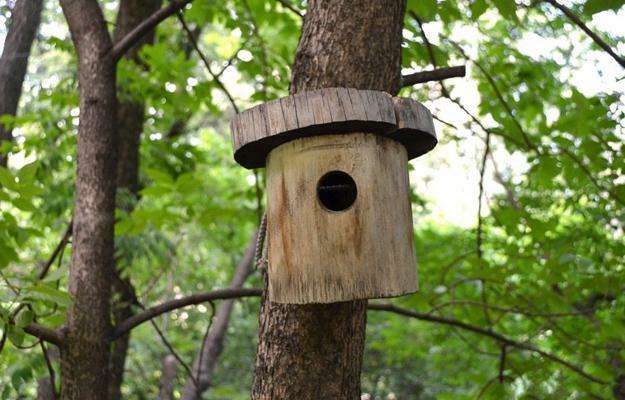 Birdhouses help birds in late fall and winter, in return, birds bring your yard to life in spring and summer. 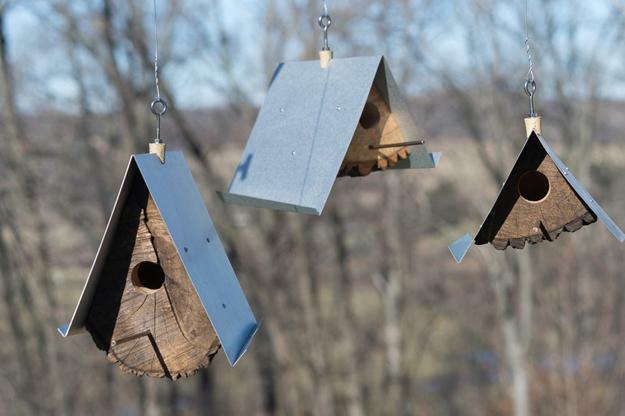 Birdhouses are cheap decorations for backyards and gardens, Simplified and creative birdhouse designs add beautiful accents to outdoor living spaces and create a bird-friendly environment in local parks. 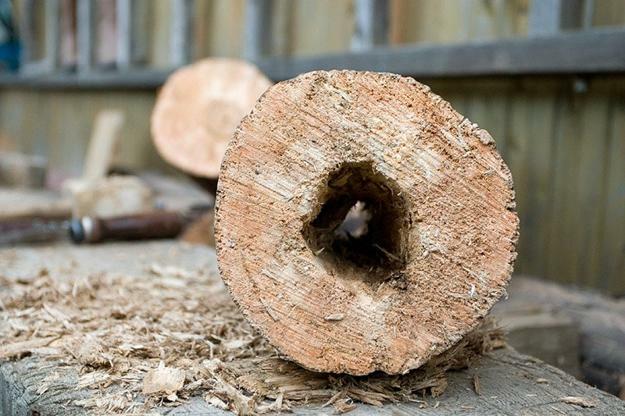 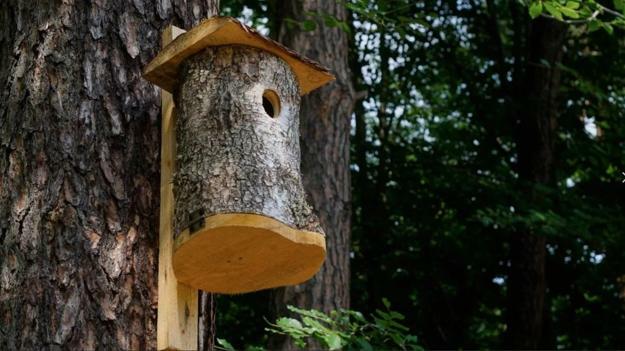 Wood is an ideal material for building a birdhouse because birds are used to it and because it is warm. 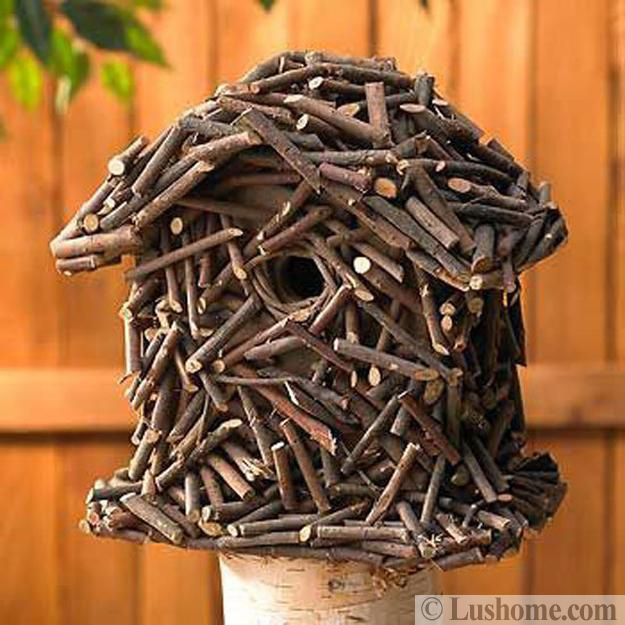 Rustic wood birdhouses look charming and attractive. 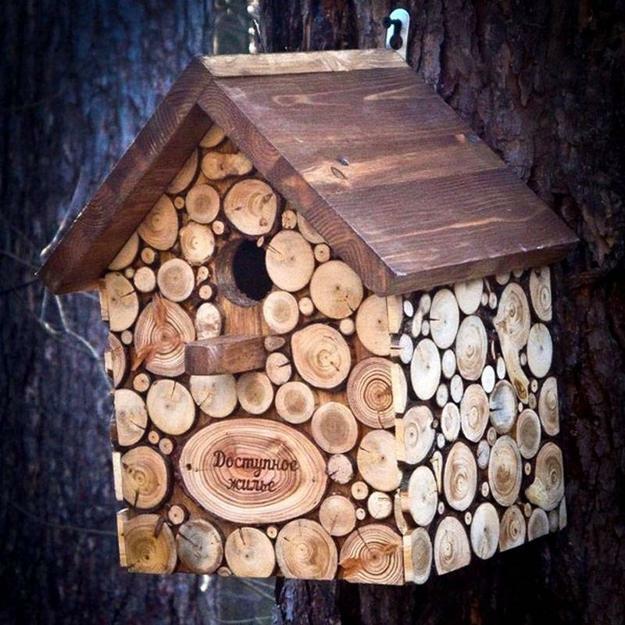 The texture of rustic wood and handmade design ideas create beautiful shelters for feathered friends. 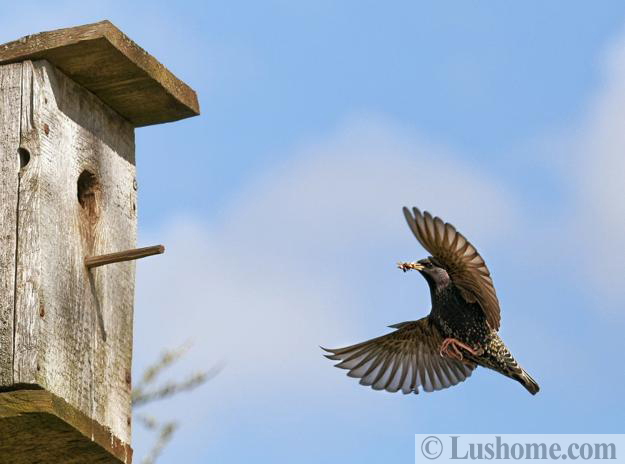 Check out the Lushome collection of wooden birdhouses. 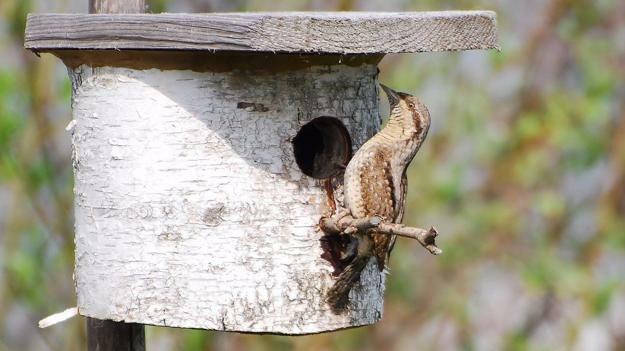 You may get inspired to build an enclosure for your yard or local park. 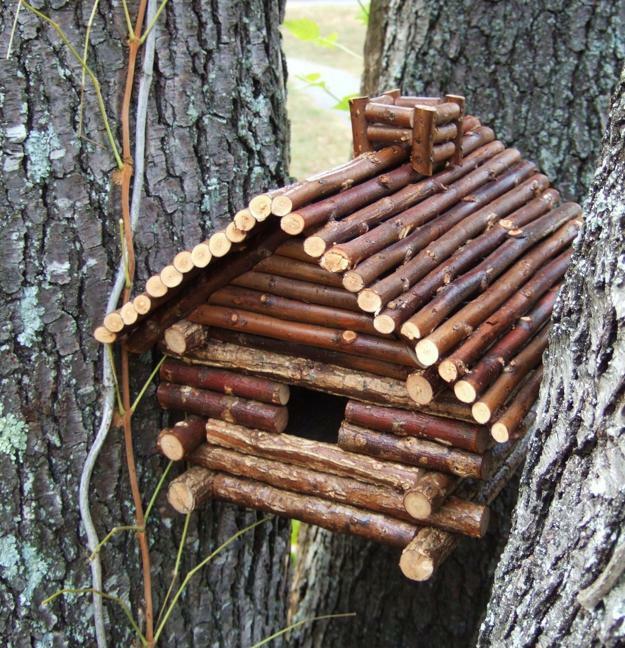 You can use bark for decorating your wood birdhouse and design an original yard decoration that is functional and eco-friendly. 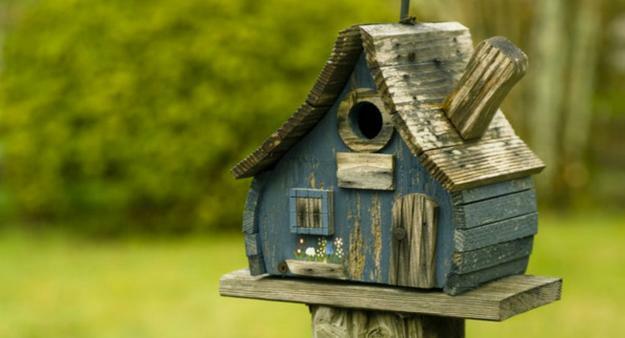 No yard landscaping or garden design is complete without the presence of a birdhouse, bird bath, feeder or garden fountains that birds use. 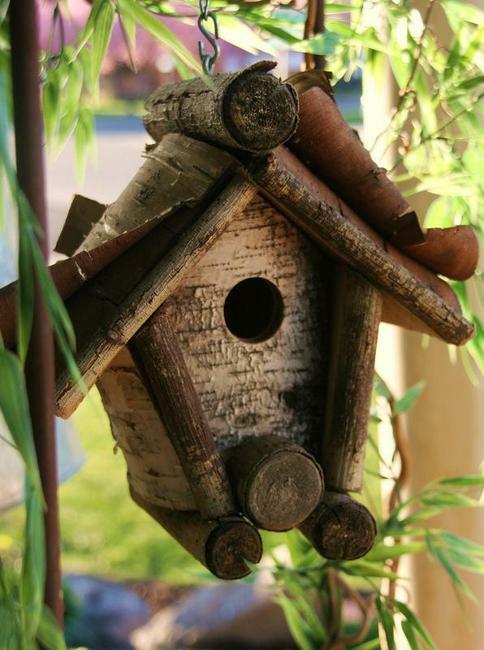 A birdhouse made of rustic wood materials is a perfect accent for any yard. 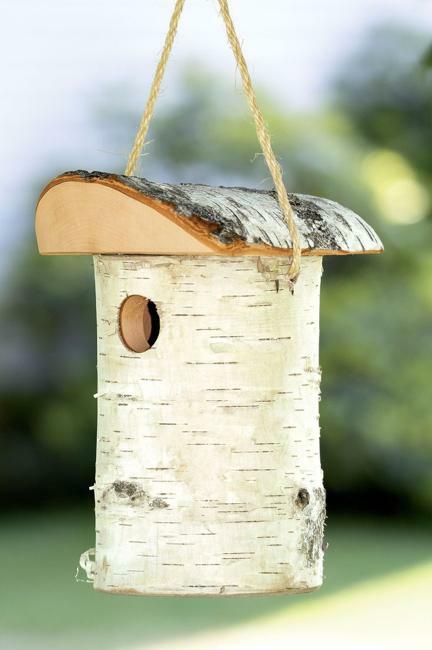 The rustic wood birdhouses make ideal eco gifts for all bird lovers. 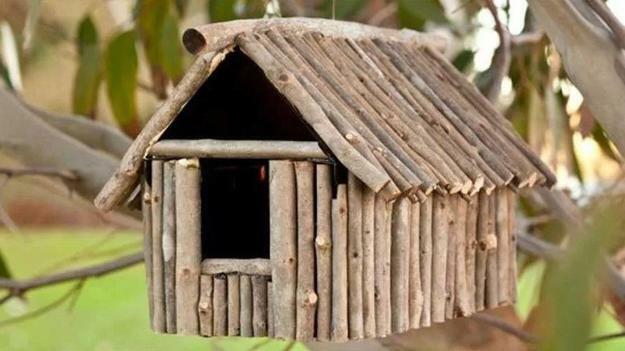 Kids and adults get excited receiving a design which allows feathered friends to have a great place to shelter from cold and nest in spring. 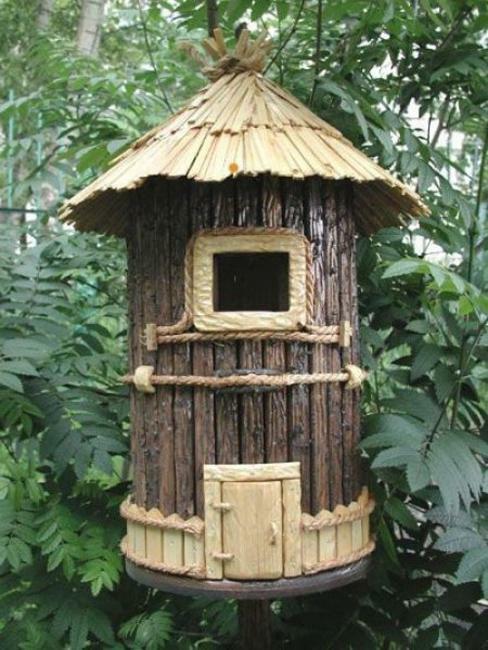 Rustic birdhouse designs vary a bit in styles and materials, but they provide attractive cabins for birds and protect them from cold. 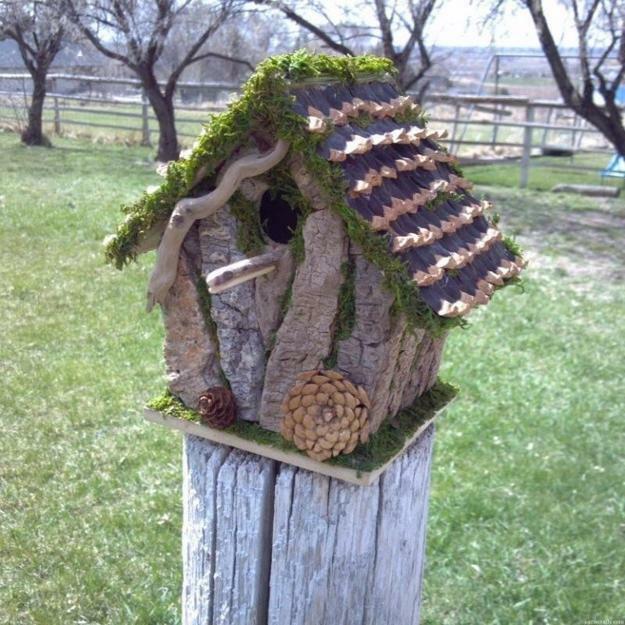 Your yard landscaping benefits from handmade birdhouses as well. 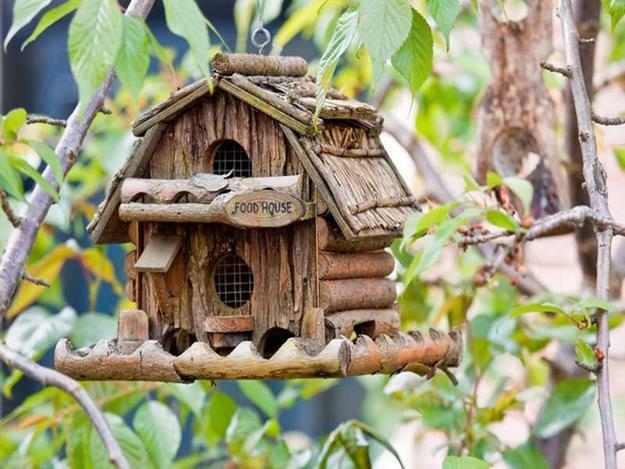 Birds bring spring songs into your garden and add life to your yard in summer. 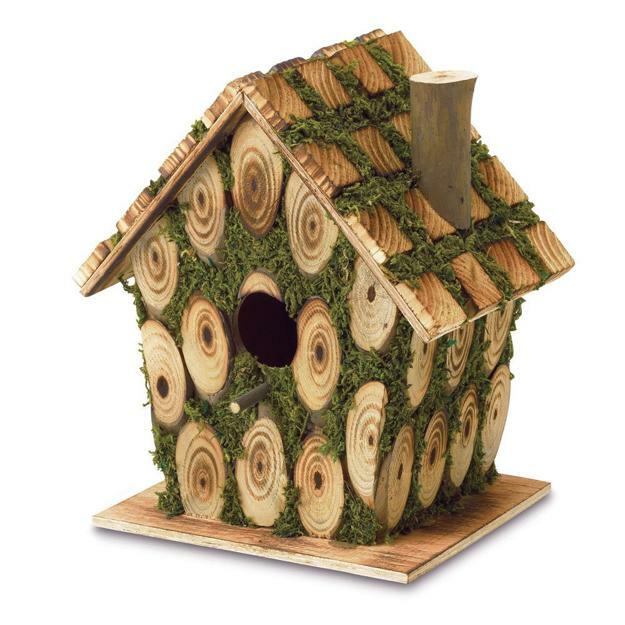 Handmade birdhouses make beautiful decorative accents in eco style and beautify your Green places around your home.